A battery-powered Bentley could open the door to a new age of British luxury motoring. As the famed British brand focusses on the potential for an inner-city runabout, it’s more likely to focus on young professionals than its old-school owners. 'Green motoring' is becoming more of a priority as the first wave of millennials begins to edge out baby boomers in prestige showrooms, and Bentley is no exception. The marque is pushing ahead with plans for a fully-electric car that will be outside its existing lineup, as part of a strategy which also includes plug-in petrol-electric hybrids. “We are thinking about introducing one model which is completely electric,” the head of engineering at Bentley, Dr Werner Tietz, tells Australian Business Traveller during a rare visit to Australia. The electrification of the Bentley range is typical of upscale brands: among them Porsche with its upcoming Taycan sports car, and Jaguar, which already sells the I-Pace in Australia. Hybrid cars are well established around the world, plug-in hybrids promise more fully-electric running with petrol-powered convenience, but it’s battery-only models – similar to Tesla, but from mainstream prestige makers – which will bring the big breakthrough. They are also expected to draw many more millennials into motoring. 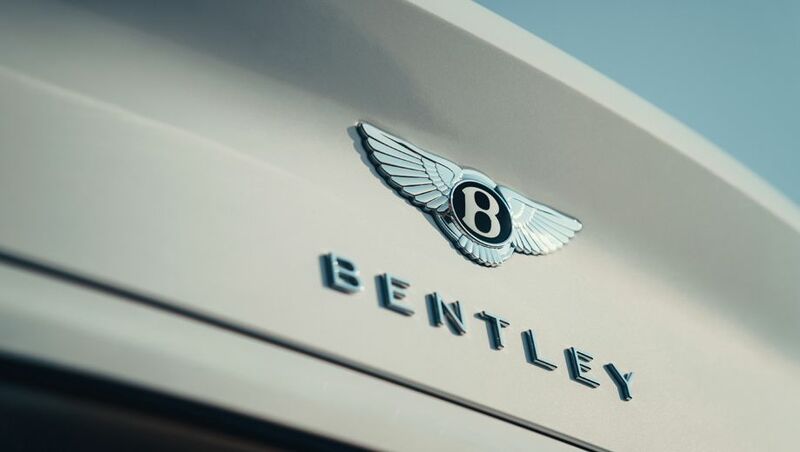 Tietz's trip comes as Bentley celebrates the centenary of its foundation with everything from a renewed racing program targeted at younger owners – including the 30-somethings who dominate sales in China – to a showroom push with its latest Continental GT Convertible (below) and the Bentayga SUV that’s now the top choice with around half of the brand’s buyers. Bentley is about to unveil a born-again Speed Six model as part of its 100th birthday party, as well as a ‘blue sky’ concept car. “It’s our vision of a luxury car in the future,” Tietz says of the concept car. But more and more of his focus is on the challenge of electrifying a Bentley line-up that even includes a 6-litre W12 engine that guzzles fuel at the rate of 14.5 litres/100km. “It is a time of amazing change. It’s the best time in the automotive industry. I live for problems. If there are no problems I have no fun," he adds with a smile. Tietz is reluctant to get into detail on the battery-electric future car, but confirms it will be nothing like the BMW i3 which has become a popular inner-city runabout with people who are downsizing into prestige apartments in the world’s major cities. He also confirms that it has no links to anything that’s already in a Bentley showroom. Comment on "Bentley's electric city car will bring luxury to the daily commute"